Thanks to all who voted! Each vote really counts as it was the votes cast on the last day of voting which pushed the chosen book over the top. Love this. I bought two of them. This is a wonderful selection! It was difficult for me to pick the ranks! So Which Book Will We Be Reading in November? Officially, we'll begin reading the book below on Nov. 1st so you have time to get it in advance. You'll have till the end of November to finish the book before we begin the discussion. "Dada’s life is at a standstill in Zagreb—she’s sleeping with a married man, working a dead-end job, and even the parties have started to feel exhausting. So when her sister calls her back home to help with their aging mother, she doesn’t hesitate to leave the city behind. But she arrives to find her mother hoarding pills, her sister chain-smoking, her long-dead father’s shoes still lined up on the steps, and the cowboy posters of her younger brother Daniel (who threw himself under a train four years ago) still on the walls. Hoping to free her family from the grip of the past, Dada vows to unravel the mystery of Daniel’s final days. 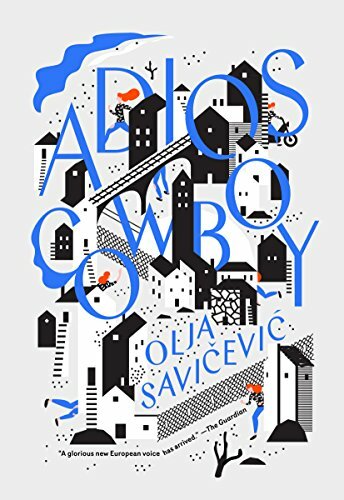 This debut by a poet from Croatia’s 'lost generation' explores a beautiful Mediterranean town’s darkest alleys: the bars where secrets can be bought, the rooms where bodies can be sold, the streets and houses where blood is shed. By the end of the long summer, the lies, lust, feuds, and frustration will come to a violent and hallucinatory head." Note: This book may be listed under the title Adios, Cowboy or Farewell, Cowboy. Older PostWhich Croatian Book Should We Read in November?